BMW Certified. CARFAX 1-Owner. Rear View Camera. Winter Floor Mats Included! Keyless Start. Heated Front/Rear Seats/Steering Wheel, Moonroof, iPod/MP3 Input, Rear Air, Dual Zone A/C, Onboard Communications System, COLD WEATHER PACKAGE, FINELINE ANTHRACITE WOOD TRIM, DRIVER ASSISTANCE PACKAGE, All Wheel Drive, Turbo Charged, Aluminum Wheels, Serviced here, Originally bought here. AND MORE! KEY FEATURES INCLUDE All Wheel Drive, Rear Air, Turbocharged, iPod/MP3 Input, CD Player, Onboard Communications System, Aluminum Wheels, Keyless Start, Dual Zone A/C. MP3 Player, Keyless Entry, Steering Wheel Controls, Child Safety Locks, Electronic Stability Control. OPTION PACKAGES MOONROOF, DRIVER ASSISTANCE PACKAGE Rear View Camera, Park Distance Control, COLD WEATHER PACKAGE Heated Front Seats, Heated Rear Seats, Heated Steering Wheel, FINELINE ANTHRACITE WOOD TRIM Pearl Gloss chrome highlight. BMW 320i xDrive with Glacier Silver Metallic exterior and Black interior features a 4 Cylinder Engine with 180 HP at 5000 RPM*. Serviced here, Originally bought here. EXPERTS REPORT Balances sharp handling with a ride quality that won't beat you up; engine choices that offer power, smoothness and fuel efficiency; upscale, spacious interior with logical and easy-to-use controls. -Edmunds.com. Great Gas Mileage: 34 MPG Hwy. A GREAT VALUE This 320i xDrive is priced $500 below NADA Retail. BUY WITH CONFIDENCE Unlimited Miles for 1-Year plus the balance of original new vehicle warranty (4-Year/50,000-Miles), 24-Hour BMW Roadside Assistance, Comprehensive Inspection and Reconditioning, Trip-Interruption Services, Trip-Planning Services Pricing analysis performed on 4/18/2019. Horsepower calculations based on trim engine configuration. Fuel economy calculations based on original manufacturer data for trim engine configuration. Please confirm the accuracy of the included equipment by calling us prior to purchase. BMW Certified, CARFAX 1-Owner, BIG PRICE DROP! PANORAMIC MOONROOF, Rear View Camera, Parking Assistant, Power Liftgate, iPod/MP3 Input, Dual Zone A/C, Keyless Start, Onboard Communications System, All Wheel Drive, RUNFLAT TIRES, TRANSMISSION: 8-SPEED STEPTRONIC AUTO..., Turbo Charged, Aluminum Wheels, DRIVER ASSISTANCE PACKAGE, Serviced here, Originally bought here. LOW MILES - 40,635! SEE MORE! EXCELLENT SAFETY FOR YOUR FAMILY Child Safety Locks, Electronic Stability Control, Brake Assist, 4-Wheel ABS Safety equipment includes Child Safety Locks BMW xDrive28i with Glacier Silver Metallic exterior and Black interior features a 4 Cylinder Engine with 228 HP at 5000 RPM*. EXCELLENT VALUE This X1 xDrive28i is priced $2,900 below NADA Retail. VEHICLE FEATURES Rear Spoiler, MP3 Player, Remote Trunk Release, Privacy Glass, Keyless Entry. OPTION PACKAGES PANORAMIC MOONROOF, DRIVER ASSISTANCE PACKAGE Rear View Camera, Park Distance Control, Parking Assistant, TRANSMISSION: 8-SPEED STEPTRONIC AUTOMATIC sport and manual shift modes and Adaptive Transmission Control (ATC) (STD), RUNFLAT TIRES. Serviced here, Originally bought here. BUY WITH CONFIDENCE Unlimited Miles for 1-Year plus the balance of original new vehicle warranty (4-Year/50,000-Miles), 24-Hour BMW Roadside Assistance, Comprehensive Inspection and Reconditioning, Trip-Interruption Services, Trip-Planning Services EXPERTS ARE SAYING Spacious interior with high-quality furnishings; smooth and strong four-cylinder engine with better-than-average fuel economy. -Edmunds.com. Great Gas Mileage: 32 MPG Hwy. Pricing analysis performed on 4/18/2019. Horsepower calculations based on trim engine configuration. Fuel economy calculations based on original manufacturer data for trim engine configuration. Please confirm the accuracy of the included equipment by calling us prior to purchase. PRICE DROP FROM $25,749, $1,100 below NADA Retail!, FUEL EFFICIENT 35 MPG Hwy/23 MPG City! Superb Condition, BMW Certified, CARFAX 1-Owner, LOW MILES - 19,530! Sunroof, Heated Seats, Rear Air, iPod/MP3 Input, Keyless Start SEE MORE! KEY FEATURES INCLUDE All Wheel Drive, Rear Air, Turbocharged, iPod/MP3 Input, CD Player, Onboard Communications System, Aluminum Wheels, Keyless Start, Dual Zone A/C. BMW 320i xDrive with Imperial Blue Metallic exterior and Venetian Beige interior features a 4 Cylinder Engine with 180 HP at 5000 RPM*. OPTION PACKAGES MOONROOF, POWER FRONT SEATS, BURL WALNUT WOOD TRIM Pearl Gloss chrome highlight, HEATED FRONT SEATS. MP3 Player, Keyless Entry, Child Safety Locks, Steering Wheel Controls, Heated Mirrors. Serviced here, Non-Smoker vehicle. From its sporty driving character to its refined ride and cabin EXCELLENT VALUE Reduced from $25,749. This 320i xDrive is priced $1,100 below NADA Retail. BUY WITH CONFIDENCE Unlimited Miles for 1-Year plus the balance of original new vehicle warranty (4-Year/50,000-Miles), 24-Hour BMW Roadside Assistance, Comprehensive Inspection and Reconditioning, Trip-Interruption Services, Trip-Planning Services WHY BUY FROM US Tulley BMW of Manchester is proud to serve our customers from Concord to Manchester, Nashua to Worcester, and everywhere in between. If you live in the Central New Hampshire to Boston, Massachusetts regions, come to Tulley BMW of Manchester for your Certified Pre Owned BMW sales, service, and parts needs. Also offering a wide selection of quality pre-owned cars, trucks, and SUVs. Tulley BMW of Manchester is conveniently located near the Mall of NH off Route 293 in tax-free Manchester, NH. Pricing analysis performed on 4/16/2019. Horsepower calculations based on trim engine configuration. Fuel economy calculations based on original manufacturer data for trim engine configuration. Please confirm the accuracy of the included equipment by calling us prior to purchase. Spotless, BMW Certified, LOW MILES - 18,309! FUEL EFFICIENT 33 MPG Hwy/22 MPG City! NAV, Sunroof, Heated Seats, Turbo, iPod/MP3 Input, All Wheel Drive, CD Player, Onboard Communications System, Rear Air, Alloy Wheels SEE MORE! KEY FEATURES INCLUDE All Wheel Drive, Rear Air, Turbocharged, iPod/MP3 Input, CD Player, Onboard Communications System, Aluminum Wheels, Dual Zone A/C. OPTION PACKAGES PREMIUM PACKAGE Moonroof, Satellite Radio, Comfort Access Keyless Entry, Lumbar Support, NAVIGATION SYSTEM W/TOUCHPAD Remote Services, Advanced Real-Time Traffic Information, BMW Online & BMW Apps, Instrument Cluster w/Extended Contents, DRIVER ASSISTANCE PACKAGE Rear View Camera, Park Distance Control, HEATED FRONT SEATS, TRANSMISSION: 8-SPEED STEPTRONIC AUTOMATIC (STD), POWER FRONT SEATS W/DRIVER SEAT MEMORY (STD), DARK BURL WALNUT WOOD TRIM. Child Safety Locks, Steering Wheel Controls, Electronic Stability Control, Heated Mirrors, Electrochromic rearview mirror. Unlimited Miles for 1-Year plus the balance of original new vehicle warranty (4-Year/50,000-Miles), 24-Hour BMW Roadside Assistance, Comprehensive Inspection and Reconditioning, Trip-Interruption Services, Trip-Planning Services OUR OFFERINGS Tulley BMW of Manchester is proud to serve our customers from Concord to Manchester, Nashua to Worcester, and everywhere in between. If you live in the Central New Hampshire to Boston, Massachusetts regions, come to Tulley BMW of Manchester for your Certified Pre Owned BMW sales, service, and parts needs. Also offering a wide selection of quality pre-owned cars, trucks, and SUVs. Tulley BMW of Manchester is conveniently located near the Mall of NH off Route 293 in tax-free Manchester, NH. Pricing analysis performed on 3/28/2019. Horsepower calculations based on trim engine configuration. Fuel economy calculations based on original manufacturer data for trim engine configuration. Please confirm the accuracy of the included equipment by calling us prior to purchase. BMW Certified. CARFAX 1-Owner, GREAT MILES 38,738! OIL CHANGES INCLUDED, Sport Line, Rear View Camera, Fold Down Rear Seats, Sport Leather Steering Wheel. Moonroof, Heated Seats, Onboard Communications System, Keyless Start, Dual Zone A/C, Rear Air, DRIVER ASSISTANCE PACKAGE, HEATED FRONT SEATS, MOONROOF, All Wheel Drive, Turbo Charged Engine, Aluminum Wheels, Serviced here, Originally bought here. CLICK ME! Serviced here, Originally bought here. READ MORE! EXCELLENT SAFETY FOR YOUR FAMILY Child Safety Locks Safety equipment includes Child Safety Locks BMW 328i xDrive with Glacier Silver Metallic exterior and Black w/Red Highlight interior features a 4 Cylinder Engine with 240 HP at 5000 RPM*. AFFORDABLE TO OWN This 328i xDrive is priced $500 below NADA Retail. VEHICLE FEATURES MP3 Player, Keyless Entry, Steering Wheel Controls OPTION PACKAGES MOONROOF, DRIVER ASSISTANCE PACKAGE Rear View Camera, Park Distance Control, HEATED FRONT SEATS. Serviced here, Originally bought here. PURCHASE WITH CONFIDENCE Unlimited Miles for 1-Year plus the balance of original new vehicle warranty (4-Year/50,000-Miles), 24-Hour BMW Roadside Assistance, Comprehensive Inspection and Reconditioning, Trip-Interruption Services, Trip-Planning Services EXPERTS REPORT Edmunds.com's review says From its sporty driving character to its refined ride and cabin, the 2016 BMW 3 Series is exceptionally well rounded. It's a highly desirable compact luxury sport sedan, and one of our favorites in this class.. Great Gas Mileage: 34 MPG Hwy. Pricing analysis performed on 4/18/2019. Horsepower calculations based on trim engine configuration. Fuel economy calculations based on original manufacturer data for trim engine configuration. Please confirm the accuracy of the included equipment by calling us prior to purchase. EPA 34 MPG Hwy/22 MPG City!, $1,800 below NADA Retail! CARFAX 1-Owner, Excellent Condition, BMW Certified, ONLY 28,433 Miles! Nav System, Moonroof, Heated Seats, All Wheel Drive, Rear Air, Onboard Communications System CLICK NOW! KEY FEATURES INCLUDE All Wheel Drive, Rear Air, Turbocharged, iPod/MP3 Input, CD Player, Onboard Communications System, Aluminum Wheels, Dual Zone A/C OPTION PACKAGES PREMIUM PACKAGE LED Headlights, Moonroof, Satellite Radio, Comfort Access Keyless Entry, Lumbar Support, NAVIGATION SYSTEM Remote Services, Advanced Real-Time Traffic Information, BMW Online & BMW Apps, Instrument Cluster w/Extended Contents, DRIVER ASSISTANCE PACKAGE Rear View Camera, Park Distance Control, COLD WEATHER PACKAGE Heated Front Seats, Heated Rear Seats, Heated Steering Wheel. Child Safety Locks, Steering Wheel Controls, Electronic Stability Control, Heated Mirrors, Bucket Seats. Non-Smoker vehicle. PURCHASE WITH CONFIDENCE Unlimited Miles for 1-Year plus the balance of original new vehicle warranty (4-Year/50,000-Miles), 24-Hour BMW Roadside Assistance, Comprehensive Inspection and Reconditioning, Trip-Interruption Services, Trip-Planning Services WHO WE ARE Tulley BMW of Manchester is proud to serve our customers from Concord to Manchester, Nashua to Worcester, and everywhere in between. If you live in the Central New Hampshire to Boston, Massachusetts regions, come to Tulley BMW of Manchester for your Certified Pre Owned BMW sales, service, and parts needs. Also offering a wide selection of quality pre-owned cars, trucks, and SUVs. Tulley BMW of Manchester is conveniently located near the Mall of NH off Route 293 in tax-free Manchester, NH. Pricing analysis performed on 4/8/2019. Horsepower calculations based on trim engine configuration. Fuel economy calculations based on original manufacturer data for trim engine configuration. Please confirm the accuracy of the included equipment by calling us prior to purchase. Spotless, BMW Certified, LOW MILES - 39,055! EPA 34 MPG Hwy/22 MPG City! Heated Seats, Sunroof, CD Player, iPod/MP3 Input, Dual Zone A/C, Onboard Communications System, Rear Air, PREMIUM PACKAGE, COLD WEATHER PACKAGE SEE MORE! KEY FEATURES INCLUDE All Wheel Drive, Rear Air, Turbocharged, iPod/MP3 Input, CD Player, Onboard Communications System, Aluminum Wheels, Dual Zone A/C BMW 328i xDrive with Black Sapphire Metallic exterior and Black w/Red Highlight interior features a 4 Cylinder Engine with 240 HP at 5000 RPM*. OPTION PACKAGES PREMIUM PACKAGE LED Headlights, Moonroof, Satellite Radio, Comfort Access Keyless Entry, Lumbar Support, COLD WEATHER PACKAGE Heated Front Seats, Heated Rear Seats, Heated Steering Wheel. MP3 Player, Child Safety Locks, Steering Wheel Controls, Electronic Stability Control, Heated Mirrors. Non-Smoker vehicle. EXPERTS RAVE From its sporty driving character to its refined ride and cabin PURCHASE WITH CONFIDENCE Unlimited Miles for 1-Year plus the balance of original new vehicle warranty (4-Year/50,000-Miles), 24-Hour BMW Roadside Assistance, Comprehensive Inspection and Reconditioning, Trip-Interruption Services, Trip-Planning Services WHY BUY FROM US Tulley BMW of Manchester is proud to serve our customers from Concord to Manchester, Nashua to Worcester, and everywhere in between. If you live in the Central New Hampshire to Boston, Massachusetts regions, come to Tulley BMW of Manchester for your Certified Pre Owned BMW sales, service, and parts needs. Also offering a wide selection of quality pre-owned cars, trucks, and SUVs. Tulley BMW of Manchester is conveniently located near the Mall of NH off Route 293 in tax-free Manchester, NH. Pricing analysis performed on 4/4/2019. Horsepower calculations based on trim engine configuration. Fuel economy calculations based on original manufacturer data for trim engine configuration. Please confirm the accuracy of the included equipment by calling us prior to purchase. ONLY 35,582 Miles! Ambient Lighting CARFAX 1-Owner, BMW Certified. Sunroof, Heated Seats, Split Fold Down Rear Seats, Onboard Communications System, Dual Zone A/C, Keyless Start, Alloy Wheels, HEATED FRONT SEATS, MOONROOF, Rear Air, All Wheel Drive, Turbo Charged, Purchased & Serviced at Tulley. SEE MORE! EXCELLENT SAFETY FOR YOUR FAMILY Child Safety Locks, Electronic Stability Control, Brake Assist, 4-Wheel ABS, Tire Pressure Monitoring System, 4-Wheel Disc Brakes Safety equipment includes Child Safety Locks BMW 328i xDrive with Alpine White exterior and Venetian Beige interior features a 4 Cylinder Engine with 240 HP at 5000 RPM*. VEHICLE FEATURES MP3 Player, Keyless Entry, Steering Wheel Controls, Heated Mirrors. OPTION PACKAGES MOONROOF, HEATED FRONT SEATS. Purchased & Serviced at Tulley. BUY WITH CONFIDENCE Unlimited Miles for 1-Year plus the balance of original new vehicle warranty (4-Year/50,000-Miles), 24-Hour BMW Roadside Assistance, Comprehensive Inspection and Reconditioning, Trip-Interruption Services, Trip-Planning Services VEHICLE REVIEWS Edmunds.com explains From its sporty driving character to its refined ride and cabin, the 2016 BMW 3 Series is exceptionally well rounded. It's a highly desirable compact luxury sport sedan, and one of our favorites in this class.. Great Gas Mileage: 34 MPG Hwy. BUY FROM AN AWARD WINNING DEALER Tulley Automotive with locations in both Nashua, NH and Manchester, NH treats the needs of each individual customer with paramount concern. We know that you have high expectations Pricing analysis performed on 4/13/2019. Horsepower calculations based on trim engine configuration. Fuel economy calculations based on original manufacturer data for trim engine configuration. Please confirm the accuracy of the included equipment by calling us prior to purchase. BMW Certified, Superb Condition, LOW MILES - 26,830! $1,500 below NADA Retail!, EPA 34 MPG Hwy/22 MPG City! Nav System, Moonroof, Heated Seats, All Wheel Drive, Rear Air, Onboard Communications System, CD Player, iPod/MP3 Input READ MORE! Unlimited Miles for 1-Year plus the balance of original new vehicle warranty (4-Year/50,000-Miles), 24-Hour BMW Roadside Assistance, Comprehensive Inspection and Reconditioning, Trip-Interruption Services, Trip-Planning Services A GREAT TIME TO BUY This 328i xDrive is priced $1,500 below NADA Retail. KEY FEATURES INCLUDE All Wheel Drive, Rear Air, Turbocharged, iPod/MP3 Input, CD Player, Onboard Communications System, Aluminum Wheels, Keyless Start, Dual Zone A/C Keyless Entry, Steering Wheel Controls, Child Safety Locks, Electronic Stability Control, Heated Mirrors. OPTION PACKAGES NAVIGATION SYSTEM Remote Services, Advanced Real-Time Traffic Information, BMW Online & BMW Apps, Instrument Cluster w/Extended Contents, MOONROOF, DRIVER ASSISTANCE PACKAGE Rear View Camera, Park Distance Control, HEATED FRONT SEATS. BMW 328i xDrive with Alpine White exterior and Black interior features a 4 Cylinder Engine with 240 HP at 5000 RPM*. Non-Smoker vehicle. WHO WE ARE Tulley BMW of Manchester is proud to serve our customers from Concord to Manchester, Nashua to Worcester, and everywhere in between. If you live in the Central New Hampshire to Boston, Massachusetts regions, come to Tulley BMW of Manchester for your Certified Pre Owned BMW sales, service, and parts needs. Also offering a wide selection of quality pre-owned cars, trucks, and SUVs. Tulley BMW of Manchester is conveniently located near the Mall of NH off Route 293 in tax-free Manchester, NH. Pricing analysis performed on 4/4/2019. Horsepower calculations based on trim engine configuration. Fuel economy calculations based on original manufacturer data for trim engine configuration. Please confirm the accuracy of the included equipment by calling us prior to purchase. CARFAX 1-Owner, BMW Certified, Extra Clean, GREAT MILES 40,860! WAS $27,777, FUEL EFFICIENT 35 MPG Hwy/23 MPG City! Navigation, Moonroof, Heated Seats, All Wheel Drive, Rear Air, Onboard Communications System, CD Player READ MORE! Unlimited Miles for 1-Year plus the balance of original new vehicle warranty (4-Year/50,000-Miles), 24-Hour BMW Roadside Assistance, Comprehensive Inspection and Reconditioning, Trip-Interruption Services, Trip-Planning Services KEY FEATURES INCLUDE All Wheel Drive, Rear Air, Turbocharged, iPod/MP3 Input, CD Player, Onboard Communications System, Dual Zone A/C OPTION PACKAGES PREMIUM PACKAGE Storage Package, Auto-Dimming Rearview Mirror, Universal Garage-Door Opener, Auto-Dimming Interior & Exterior Mirrors, Moonroof, Power Front Seats, Satellite Radio , Comfort Access Keyless Entry, Lumbar Support, NAVIGATION SYSTEM Remote Services, Advanced Real-Time Traffic Information, BMW Online & BMW Apps, Instrument Cluster w/Extended Contents, SPORT PACKAGE Remove Increased Top Speed, Sport Seats, Anthracite Headliner, Wheels: 18 x 8.0 Light Alloy Turbine (Style 415), Tires: P225/45R18 AS, M Steering Wheel, DRIVER ASSISTANCE PACKAGE Rear View Camera Serviced here, Non-Smoker vehicle WHY BUY FROM US Tulley BMW of Manchester is proud to serve our customers from Concord to Manchester, Nashua to Worcester, and everywhere in between. If you live in the Central New Hampshire to Boston, Massachusetts regions, come to Tulley BMW of Manchester for your Certified Pre Owned BMW sales, service, and parts needs. Also offering a wide selection of quality pre-owned cars, trucks, and SUVs. Tulley BMW of Manchester is conveniently located near the Mall of NH off Route 293 in tax-free Manchester, NH. Pricing analysis performed on 4/16/2019. Horsepower calculations based on trim engine configuration. Fuel economy calculations based on original manufacturer data for trim engine configuration. Please confirm the accuracy of the included equipment by calling us prior to purchase. BMW Certified, Superb Condition, CARFAX 1-Owner, LOW MILES - 31,560! EPA 34 MPG Hwy/22 MPG City!, PRICED TO MOVE $700 below NADA Retail! Heated Seats, Nav System, Moonroof, Rear Air, iPod/MP3 Input, Onboard Communications System READ MORE! Unlimited Miles for 1-Year plus the balance of original new vehicle warranty (4-Year/50,000-Miles), 24-Hour BMW Roadside Assistance, Comprehensive Inspection and Reconditioning, Trip-Interruption Services, Trip-Planning Services AFFORDABLE This 328i xDrive is priced $700 below NADA Retail. KEY FEATURES INCLUDE All Wheel Drive, Rear Air, Turbocharged, iPod/MP3 Input, CD Player, Onboard Communications System, Aluminum Wheels, Dual Zone A/C Child Safety Locks, Steering Wheel Controls, Electronic Stability Control, Heated Mirrors, Bucket Seats. OPTION PACKAGES PREMIUM PACKAGE LED Headlights, Moonroof, Satellite Radio, Comfort Access Keyless Entry, Lumbar Support, NAVIGATION SYSTEM Remote Services, Advanced Real-Time Traffic Information, BMW Online & BMW Apps, Instrument Cluster w/Extended Contents, COLD WEATHER PACKAGE Heated Front Seats, Heated Rear Seats, Heated Steering Wheel. Serviced here, Non-Smoker vehicle, Originally bought here. 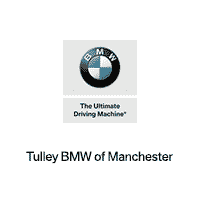 OUR OFFERINGS Tulley BMW of Manchester is proud to serve our customers from Concord to Manchester, Nashua to Worcester, and everywhere in between. If you live in the Central New Hampshire to Boston, Massachusetts regions, come to Tulley BMW of Manchester for your Certified Pre Owned BMW sales, service, and parts needs. Also offering a wide selection of quality pre-owned cars, trucks, and SUVs. Tulley BMW of Manchester is conveniently located near the Mall of NH off Route 293 in tax-free Manchester, NH. Pricing analysis performed on 4/5/2019. Horsepower calculations based on trim engine configuration. Fuel economy calculations based on original manufacturer data for trim engine configuration. Please confirm the accuracy of the included equipment by calling us prior to purchase. BMW Certified, CARFAX 1-Owner, Extra Clean, LOW MILES - 35,543! EPA 34 MPG Hwy/22 MPG City! Nav System, Moonroof, Heated Seats, All Wheel Drive, Rear Air, Onboard Communications System, CD Player, iPod/MP3 Input. CLICK NOW! Unlimited Miles for 1-Year plus the balance of original new vehicle warranty (4-Year/50,000-Miles), 24-Hour BMW Roadside Assistance, Comprehensive Inspection and Reconditioning, Trip-Interruption Services, Trip-Planning Services KEY FEATURES INCLUDE All Wheel Drive, Rear Air, Turbocharged, iPod/MP3 Input, CD Player, Onboard Communications System, Aluminum Wheels, Dual Zone A/C. Child Safety Locks, Steering Wheel Controls, Electronic Stability Control, Heated Mirrors, Bucket Seats. OPTION PACKAGES PREMIUM PACKAGE LED Headlights, Moonroof, Satellite Radio, Comfort Access Keyless Entry, Lumbar Support, NAVIGATION SYSTEM Remote Services, Advanced Real-Time Traffic Information, BMW Online & BMW Apps, Instrument Cluster w/Extended Contents, DRIVER ASSISTANCE PACKAGE Rear View Camera, Park Distance Control, COLD WEATHER PACKAGE Heated Front Seats, Heated Rear Seats, Heated Steering Wheel. Non-Smoker vehicle. BUY FROM AN AWARD WINNING DEALER Tulley BMW of Manchester is proud to serve our customers from Concord to Manchester, Nashua to Worcester, and everywhere in between. If you live in the Central New Hampshire to Boston, Massachusetts regions, come to Tulley BMW of Manchester for your Certified Pre Owned BMW sales, service, and parts needs. Also offering a wide selection of quality pre-owned cars, trucks, and SUVs. Tulley BMW of Manchester is conveniently located near the Mall of NH off Route 293 in tax-free Manchester, NH. Pricing analysis performed on 4/4/2019. Horsepower calculations based on trim engine configuration. Fuel economy calculations based on original manufacturer data for trim engine configuration. Please confirm the accuracy of the included equipment by calling us prior to purchase. CARFAX 1-Owner, BMW Certified, Superb Condition, GREAT MILES 28,197! WAS $27,995, EPA 34 MPG Hwy/22 MPG City!, $2,900 below NADA Retail! NAV, Sunroof, Heated Seats, Onboard Communications System, iPod/MP3 Input, Turbo, Rear Air CLICK NOW! Unlimited Miles for 1-Year plus the balance of original new vehicle warranty (4-Year/50,000-Miles), 24-Hour BMW Roadside Assistance, Comprehensive Inspection and Reconditioning, Trip-Interruption Services, Trip-Planning Services KEY FEATURES INCLUDE All Wheel Drive, Rear Air, Turbocharged, iPod/MP3 Input, Onboard Communications System, Aluminum Wheels, Dual Zone A/C OPTION PACKAGES TECHNOLOGY PACKAGE Head-Up Display, Navigation System, Remote Services, Advanced Real-Time Traffic Information, BMW Online & BMW Apps, Instrument Cluster w/Extended Contents, PREMIUM PACKAGE LED Headlights, Moonroof, Satellite Radio, Comfort Access Keyless Entry, Lumbar Support, DRIVER ASSISTANCE PLUS Speed Limit Information, Active Driving Assistant, lane departure warning, forward collision warning, pedestrian warning and city collision mitigation, Active Blind Spot Detection, Side & Top View Cameras, DRIVER ASSISTANCE PACKAGE Rear View Camera, Park Distance Control WHY BUY FROM US Tulley BMW of Manchester is proud to serve our customers from Concord to Manchester, Nashua to Worcester, and everywhere in between. If you live in the Central New Hampshire to Boston, Massachusetts regions, come to Tulley BMW of Manchester for your Certified Pre Owned BMW sales, service, and parts needs. Also offering a wide selection of quality pre-owned cars, trucks, and SUVs. Tulley BMW of Manchester is conveniently located near the Mall of NH off Route 293 in tax-free Manchester, NH. Pricing analysis performed on 4/16/2019. Horsepower calculations based on trim engine configuration. Fuel economy calculations based on original manufacturer data for trim engine configuration. Please confirm the accuracy of the included equipment by calling us prior to purchase. BMW Certified, Excellent Condition, CARFAX 1-Owner. EPA 32 MPG Hwy/22 MPG City! Navigation, Sunroof, Heated Seats, Onboard Communications System, CD Player, All Wheel Drive, iPod/MP3 Input, Power Liftgate, Turbo Charged READ MORE! Unlimited Miles for 1-Year plus the balance of original new vehicle warranty (4-Year/50,000-Miles), 24-Hour BMW Roadside Assistance, Comprehensive Inspection and Reconditioning, Trip-Interruption Services, Trip-Planning Services KEY FEATURES INCLUDE All Wheel Drive, Power Liftgate, Turbocharged, iPod/MP3 Input, CD Player, Onboard Communications System, Dual Zone A/C Rear Spoiler OPTION PACKAGES PREMIUM PACKAGE Universal Garage-Door Opener, Auto-Dimming Interior & Driver Exterior Mirrors, Auto-Dimming Rearview Mirror, LED Headlights w/Cornering Lights, Power-Folding Mirrors, Panoramic Moonroof, Satellite Radio , Ambiance Lighting, Comfort Access Keyless Entry, Lumbar Support, TECHNOLOGY PACKAGE Remote Services, Navigation w/Touchpad Controller, Head-Up Display, Advanced Real-Time Traffic Information, BMW Connected App Compatibility, BMW Online & BMW Apps, Enhanced USB & Bluetooth w/Smartphone Integration, M SPORT PACKAGE Transmission: Sport Automatic Serviced here, Non-Smoker vehicle MORE ABOUT US Tulley BMW of Manchester is proud to serve our customers from Concord to Manchester, Nashua to Worcester, and everywhere in between. If you live in the Central New Hampshire to Boston, Massachusetts regions, come to Tulley BMW of Manchester for your Certified Pre Owned BMW sales, service, and parts needs. Also offering a wide selection of quality pre-owned cars, trucks, and SUVs. Tulley BMW of Manchester is conveniently located near the Mall of NH off Route 293 in tax-free Manchester, NH. Pricing analysis performed on 4/16/2019. Horsepower calculations based on trim engine configuration. Fuel economy calculations based on original manufacturer data for trim engine configuration. Please confirm the accuracy of the included equipment by calling us prior to purchase. CARFAX 1-Owner, BMW Certified, Extra Clean, GREAT MILES 41,706! EPA 32 MPG Hwy/22 MPG City! Sunroof, Heated Seats, Navigation, Alloy Wheels, Onboard Communications System, iPod/MP3 Input, Turbo Charged, CD Player, Power Liftgate AND MORE! Unlimited Miles for 1-Year plus the balance of original new vehicle warranty (4-Year/50,000-Miles), 24-Hour BMW Roadside Assistance, Comprehensive Inspection and Reconditioning, Trip-Interruption Services, Trip-Planning Services KEY FEATURES INCLUDE All Wheel Drive, Power Liftgate, Turbocharged, iPod/MP3 Input, CD Player, Onboard Communications System, Aluminum Wheels, Dual Zone A/C. Rear Spoiler OPTION PACKAGES PREMIUM PACKAGE Universal Garage-Door Opener, Auto-Dimming Interior & Driver Exterior Mirrors, Auto-Dimming Rearview Mirror, LED Headlights w/Cornering Lights, Power-Folding Mirrors, Panoramic Moonroof, Satellite Radio , Ambiance Lighting, Comfort Access Keyless Entry, Lumbar Support, NAVIGATION BUSINESS Remote Services, Advanced Real-Time Traffic Information, BMW Connected App Compatibility, BMW Online & BMW Apps, DRIVER ASSISTANCE PACKAGE Rear View Camera, Park Distance Control, Parking Assistant, COLD WEATHER PACKAGE Heated Front Seats OUR OFFERINGS Tulley BMW of Manchester is proud to serve our customers from Concord to Manchester, Nashua to Worcester, and everywhere in between. If you live in the Central New Hampshire to Boston, Massachusetts regions, come to Tulley BMW of Manchester for your Certified Pre Owned BMW sales, service, and parts needs. Also offering a wide selection of quality pre-owned cars, trucks, and SUVs. Tulley BMW of Manchester is conveniently located near the Mall of NH off Route 293 in tax-free Manchester, NH. Pricing analysis performed on 4/16/2019. Horsepower calculations based on trim engine configuration. Fuel economy calculations based on original manufacturer data for trim engine configuration. Please confirm the accuracy of the included equipment by calling us prior to purchase. BMW Certified, Spotless, ONLY 41,677 Miles! JUST REPRICED FROM $30,109, EPA 32 MPG Hwy/22 MPG City! Heated Seats, CD Player, iPod/MP3 Input, Onboard Communications System, Dual Zone A/C, Keyless Start, Power Liftgate AND MORE! KEY FEATURES INCLUDE All Wheel Drive, Power Liftgate, Turbocharged, iPod/MP3 Input, CD Player, Onboard Communications System, Aluminum Wheels, Keyless Start, Dual Zone A/C BMW xDrive28i with Alpine White exterior and Black interior features a 4 Cylinder Engine with 228 HP at 5000 RPM*. OPTION PACKAGES COLD WEATHER PACKAGE Heated Front Seats, TRANSMISSION: 8-SPEED STEPTRONIC AUTOMATIC sport and manual shift modes and Adaptive Transmission Control (ATC) (STD), RUNFLAT TIRES. Rear Spoiler, MP3 Player, Remote Trunk Release, Privacy Glass, Keyless Entry. Serviced here, Non-Smoker vehicle. A GREAT VALUE Was $30,109. BUY WITH CONFIDENCE Unlimited Miles for 1-Year plus the balance of original new vehicle warranty (4-Year/50,000-Miles), 24-Hour BMW Roadside Assistance, Comprehensive Inspection and Reconditioning, Trip-Interruption Services, Trip-Planning Services VISIT US TODAY Tulley BMW of Manchester is proud to serve our customers from Concord to Manchester, Nashua to Worcester, and everywhere in between. If you live in the Central New Hampshire to Boston, Massachusetts regions, come to Tulley BMW of Manchester for your Certified Pre Owned BMW sales, service, and parts needs. Also offering a wide selection of quality pre-owned cars, trucks, and SUVs. Tulley BMW of Manchester is conveniently located near the Mall of NH off Route 293 in tax-free Manchester, NH. Pricing analysis performed on 4/16/2019. Horsepower calculations based on trim engine configuration. Fuel economy calculations based on original manufacturer data for trim engine configuration. Please confirm the accuracy of the included equipment by calling us prior to purchase. FUEL EFFICIENT 32 MPG Hwy/22 MPG City! CARFAX 1-Owner, Clean, BMW Certified, LOW MILES - 41,557! Moonroof, Heated Seats, Navigation, Aluminum Wheels, Onboard Communications System, iPod/MP3 Input, Turbo Charged, CD Player READ MORE! Safety equipment includes Child Safety Locks VEHICLE FEATURES Rear Spoiler, Remote Trunk Release, Privacy Glass, Steering Wheel Controls OPTION PACKAGES PREMIUM PACKAGE Universal Garage-Door Opener, Auto-Dimming Interior & Driver Exterior Mirrors, Auto-Dimming Rearview Mirror, LED Headlights w/Cornering Lights, Power-Folding Mirrors, Panoramic Moonroof, Satellite Radio, Ambiance Lighting, Comfort Access Keyless Entry, Lumbar Support, TECHNOLOGY PACKAGE Remote Services, Navigation w/Touchpad Controller, Head-Up Display, Advanced Real-Time Traffic Information, BMW Connected App Compatibility, BMW Online & BMW Apps, Enhanced USB & Bluetooth w/Smartphone Integration, LUXURY PACKAGE Fine-Wood Oak Grain Trim w/Pearl Chrome Accent, DRIVER ASSISTANCE PACKAGE Rear View Camera, Park Distance Control, Parking Assistant, DRIVER ASSISTANCE PLUS Active Driving Assistant, automatic high beams and speed limit info, COLD WEATHER PACKAGE Heated Front Seats, TRANSMISSION: 8-SPEED STEPTRONIC AUTOMATIC sport and manual shift modes and Adaptive Transmission Control (ATC) (STD), RUNFLAT TIRES. Serviced here, Non-Smoker vehicle Unlimited Miles for 1-Year plus the balance of original new vehicle warranty (4-Year/50,000-Miles), 24-Hour BMW Roadside Assistance, Comprehensive Inspection and Reconditioning, Trip-Interruption Services, Trip-Planning Services Pricing analysis performed on 4/16/2019. Horsepower calculations based on trim engine configuration. Fuel economy calculations based on original manufacturer data for trim engine configuration. Please confirm the accuracy of the included equipment by calling us prior to purchase. CARFAX 1-Owner, BMW Certified, Superb Condition, GREAT MILES 27,486! WAS $31,087, FUEL EFFICIENT 34 MPG Hwy/22 MPG City!, PRICED TO MOVE $1,000 below NADA Retail! Heated Seats, Sunroof, iPod/MP3 Input, CD Player, Dual Zone A/C SEE MORE! KEY FEATURES INCLUDE Sunroof, All Wheel Drive, Rear Air, Turbocharged, iPod/MP3 Input, CD Player, Onboard Communications System, Keyless Start, Dual Zone A/C OPTION PACKAGES DRIVER ASSISTANCE PACKAGE Rear View Camera, Park Distance Control, WHEELS: 19 X 8 LIGHT ALLOY STAR-SPOKE (STYLE 407) Tires: P225/40R19 All Season, COLD WEATHER PACKAGE Heated Front Seats, Heated Steering Wheel, Retractable Headlight Washers. MP3 Player, Keyless Entry, Steering Wheel Controls, Electronic Stability Control, Heated Mirrors. Serviced here, Non-Smoker vehicle. A GREAT VALUE Reduced from $31,087. This 428i xDrive is priced $1,000 below NADA Retail. SHOP WITH CONFIDENCE CARFAX 1-Owner Unlimited Miles for 1-Year plus the balance of original new vehicle warranty (4-Year/50,000-Miles), 24-Hour BMW Roadside Assistance, Comprehensive Inspection and Reconditioning, Trip-Interruption Services, Trip-Planning Services VISIT US TODAY Tulley BMW of Manchester is proud to serve our customers from Concord to Manchester, Nashua to Worcester, and everywhere in between. If you live in the Central New Hampshire to Boston, Massachusetts regions, come to Tulley BMW of Manchester for your Certified Pre Owned BMW sales, service, and parts needs. Also offering a wide selection of quality pre-owned cars, trucks, and SUVs. Tulley BMW of Manchester is conveniently located near the Mall of NH off Route 293 in tax-free Manchester, NH. Pricing analysis performed on 4/16/2019. Horsepower calculations based on trim engine configuration. Fuel economy calculations based on original manufacturer data for trim engine configuration. Please confirm the accuracy of the included equipment by calling us prior to purchase. BMW Certified. CARFAX 1-Owner, M SPORT EDITION! Keyless Entry, Head Up Display, Moonroof, Heated Front/Rear Seats/Steering Wheel, Rear View Camera, Nav System, Turbo Charged Engine, Dual Zone A/C, Power Liftgate, All Wheel Drive, DRIVER ASSISTANCE PACKAGE, COLD WEATHER PACKAGE, POWER FRONT BUCKET SEATS, LIGHTING PACKAGE, TECHNOLOGY PACKAGE, PREMIUM PACKAGE, M SPORT, Serviced here, Navigation. CLICK ME! Unlimited Miles for 1-Year plus the balance of original new vehicle warranty (4-Year/50,000-Miles), 24-Hour BMW Roadside Assistance KEY FEATURES INCLUDE All Wheel Drive, Power Liftgate, Turbocharged, iPod/MP3 Input, CD Player, Dual Zone A/C. Rear Spoiler, Privacy Glass OPTION PACKAGES PREMIUM PACKAGE Panoramic Moonroof, Satellite Radio, Comfort Access Keyless Entry, Lumbar Support, TECHNOLOGY PACKAGE Instrument Cluster w/Extended Contents, Head-Up Display, Navigation System, Remote Services, Advanced Real-Time Traffic Information, BMW Online & BMW Apps, M SPORT Transmission: Sport Automatic, Increased Top Speed Limiter, Shadowline Exterior Trim, Performance Control, Standard Suspension, High-Gloss Roof Rails, Anthracite Headliner, Wheels: 19 x 8.5 M Double Spoke (Style 622M), Tires: P245/45R19 AS Run-Flat, M Sport Package, Without Lines Designation Outside, Aerodynamic Kit, Sport Seats, Brushed Aluminum Trim, M Steering Wheel, DRIVER ASSISTANCE PACKAGE Rear View Camera, Park Distance Control, COLD WEATHER PACKAGE Heated Front Seats, Heated Rear Seats, Heated Steering Wheel, Retractable Headlight Washers, LIGHTING PACKAGE Xenon Headlights, rear LED tail lights, Adaptive Light Control, POWER FRONT BUCKET SEATS 8-way power adjustable front seats w/2-way manual headrests (STD). Pricing analysis performed on 4/16/2019. Horsepower calculations based on trim engine configuration. Fuel economy calculations based on original manufacturer data for trim engine configuration. Please confirm the accuracy of the included equipment by calling us prior to purchase. JUST REPRICED FROM $31,296, FUEL EFFICIENT 28 MPG Hwy/21 MPG City! CARFAX 1-Owner, BMW Certified, Spotless, GREAT MILES 34,415! Sunroof, Heated Seats, Power Liftgate, iPod/MP3 Input, Dual Zone A/C, Onboard Communications System SEE MORE! KEY FEATURES INCLUDE All Wheel Drive, Power Liftgate, Turbocharged, iPod/MP3 Input, CD Player, Onboard Communications System, Aluminum Wheels, Dual Zone A/C BMW xDrive28i with Space Gray Metallic exterior and Beige interior features a 4 Cylinder Engine with 240 HP at 5000 RPM*. OPTION PACKAGES PANORAMIC MOONROOF, HEATED FRONT SEATS, TRANSMISSION: 8-SPEED STEPTRONIC AUTOMATIC (STD), POWER FRONT BUCKET SEATS 8-way power adjustable front seats w/2-way manual headrests (STD). Rear Spoiler, MP3 Player, Keyless Entry, Privacy Glass, Remote Trunk Release. Serviced here, Non-Smoker vehicle, Originally bought here. Room for front passengers is ample by every measure PRICED TO MOVE Was $31,296. PURCHASE WITH CONFIDENCE Unlimited Miles for 1-Year plus the balance of original new vehicle warranty (4-Year/50,000-Miles), 24-Hour BMW Roadside Assistance, Comprehensive Inspection and Reconditioning, Trip-Interruption Services, Trip-Planning Services VISIT US TODAY Tulley BMW of Manchester is proud to serve our customers from Concord to Manchester, Nashua to Worcester, and everywhere in between. If you live in the Central New Hampshire to Boston, Massachusetts regions, come to Tulley BMW of Manchester for your Certified Pre Owned BMW sales, service, and parts needs. Also offering a wide selection of quality pre-owned cars, trucks, and SUVs. Tulley BMW of Manchester is conveniently located near the Mall of NH off Route 293 in tax-free Manchester, NH. Pricing analysis performed on 4/19/2019. Horsepower calculations based on trim engine configuration. Fuel economy calculations based on original manufacturer data for trim engine configuration. Please confirm the accuracy of the included equipment by calling us prior to purchase.